The major task for the General Assembly during a short session (held in even-numbered years) is to make any changes to the two-year budget passed during the previous long session (held in odd-numbered years). This year’s work by elected officials produced changes that included a 6.5 percent average pay raise for teachers and raises for other state employees that mostly ranged from 2 to 8 percent, depending on the job. The budget also raised the minimum state salary for almost all full-time state employees to $15 an hour. Last week, Governor Roy Cooper vetoed the budget but both chambers were able to muster the votes necessary to override the veto. House Bill 1071 has been introduced by Representative Scott Stone (R-Mecklenburg County) and referred to the House Committee on Judiciary III of the North Carolina General Assembly. An article in the Charlotte Observer provides background for the genesis of the legislation. We are working to meet with Rep. Stone to discuss the specifics of the bill, particularly a provision that increases the discharge notice period from 30 days to 60 days. Our public policy committee has been providing feedback and we’ve been communicating regularly on the issue with concerned parties at the General Assembly. The Medicare Trustees’ 2018 report notes that the Medicare Part A Hospital Insurance (HI) trust fund will be insolvent by 2026, just 8 years from now. This is three years earlier than previously projected. This trust fund pays for Medicare beneficiaries Part A services, such as hospital care and skilled nursing facility services. While this doesn’t mean that the fund balance will be zero in 2026, as it continues to receive an influx of dollars from payroll taxes, it is projected to only have 91% of the dollars needed to pay the expected bills. This latest development and the second warning from the Trustees will place renewed pressure on Congress and the Administration to address the issue because by law the trust fund, “cannot borrow money or pay benefits that exceed the asset reserves in their trust funds.” The Committee for a Responsible Federal Budget notes, “the law calls for payments to be cut by 9% to bring spending in line with revenue, with the cut rising to 22% by 2040.” The trust funds solvency is impacted routinely by federal legislation. Recent legislation adversely impacted both income and costs. According to the report, “HI income is projected to be lower than last year’s estimates due to (i) lower payroll taxes attributable to lowered wages in 2017 and lower levels of projected GDP and (ii) reduced income from the taxation of Social Security benefits as a result of legislation. HI expenditures are expected to be higher than last year’s estimates due to higher-than-anticipated spending in 2017, legislation that increases hospital spending, and higher Medicare Advantage payments. Carry the Conversation: Join the Movement! Last week LeadingAge national launched a new campaign to raise awareness about the prevalence of millennial caregivers and the need for long-term services and supports (LTSS) financing solutions. Carry the Conversation: Be the Voice for Long-term Services and Supports is aimed at supporting millennials in speaking out about this problem and urging them to share their stories. The goal is to create an educated community of LTSS advocates to demand action, and carry the conversation to the offices of their elected officials. Lawmakers need to take action and find solutions for financing LTSS. We hope you will consider sharing pre-written posts on your social media networks and talking to the millennials in your life about this campaign. We encourage you to Join the Movement to show your support for this important issue. For all the information you need, visit www.carrytheconvo.org. Please email Jennifer Gill in our office if you have any questions. The North Carolina Division of Aging and Adult Services is preparing to hold its final two Aging Policy Listening Sessions for the 2019-2023 Aging Services Plan. These Listening Sessions, which are co-hosted by the NC Association of Area Agencies on Aging, will help identify the needs of the state’s older citizens, disabled adults, and their caregivers. As noted, the information gathered will also inform North Carolina’s 2019-2023 Aging Services Plan and will likely guide policy work for the Division, the Department of Health and Human Services, and other agencies of state government in the next several years. How are your colleagues across the state dealing with drug testing of food service employees? Be sure to click here to download an Excel spreadsheet with responses to this member question. Thanks to everyone who helps sustain this service by taking time to respond! The closing general session at our annual conference featured Dr. Jim Johnson from UNC-Chapel Hill’s Kenan-Flagler Business School and the public release of “African American Voices Regarding Continuing Care Retirement Communities/Life Plan Communities.” This research study, commissioned by the LeadingAge North Carolina Foundation, provides valuable insight into the fundamental question of why aren’t CCRCs/LPCs in North Carolina more racially and ethnically diverse and, more specifically, why aren’t there more African Americans in North Carolina’s CCRCs/LPCs? The study provided recommendations and we are in the process of assembling a special task force that will be charged with developing specific tools that both LeadingAge North Carolina and its member communities can utilize moving forward. Click here for a copy of Dr. Johnson’s PowerPoint presentation from the closing session. Today is World Elder Abuse Awareness Day. Please take a moment to read this brief article to understand the different ways that older adults are at risk and how we may be champions of change. Once work and child rearing are (mostly) over, what do you do to have fun in your later years? And why is there so little research on its impact? If you want permission to enjoy yourself or to help someone else have fun, please take a moment to read this (fun!) article and then make sure to get out there and have fun! Aging services professionals are in a unique position to positively influence perceptions about aging in a variety of ways. This quick guide is designed to help organizations and individuals be mindful of the language and messaging they use around aging, and take steps toward eliminating ageist attitudes, behaviors, and words from our vocabulary. Reserve your seat for August! 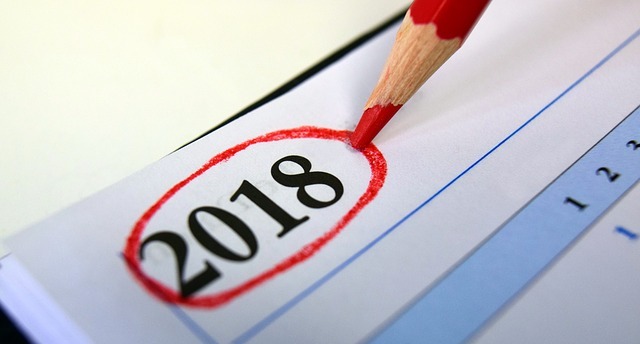 Please click here to view and print LeadingAge North Carolina's 2018 Event and Education Calendar for yourself and your staff. Even after our Annual Conference we continue to offer special events where you and your staff may learn, get inspired, and refresh yourself. We look forward to seeing you! Board members of LeadingAge North Carolina are leaders of our nonprofit membership and volunteers who offer their time and expertise with the sole purpose of enriching the field of aging services. This month we learn more about our newest board member, Lori Portfleet, President and CEO of St. Joseph of the Pines in Southern Pines. I was actively involved in Health Care Association of Michigan and (more recently) LeadingAge MI, and I feel it keeps me current on what is happening in our profession, as well as develops great peer relationships and friendships. LeadingAge North Carolina will be extremely valuable to me for the same two reasons, and that is why I want to be involved. I am an advocate (for residents, colleagues, and community) and I love seniors, and this mission speaks to my need to be innovative and to be a leader in the field of aging. I would triple the direct care staffing ratios as well as the Life and Leisure (activities) staffing to make certain that quality of life and quality of care were at the highest level for residents' satisfaction. I would like to be a concierge and have the freedom (and budget) to meet resident's needs, provide answers to questions, and reduce any anxiety caused by the "learning curve" of being in a new environment. 5. What do you do to relax, to get away, and to recharge your batteries? I love going to the beach, gardening and reading magazines and cookbooks. Congratulations to Chris Romick who, in April this year, joined Grace Ridge in Morganton as the new Executive Director. Chris is a US Navy veteran who holds a BA in Gerontology Administration from Kent State University and an MBA in Marketing from American Public University. He is a licensed nursing home administrator and has previously held the roles of Marketing Director, Regional Director, and Executive Director in Life Plan Communities across the United States. Please join us in welcoming Chris to LeadingAge North Carolina. Have You Read LeadingAge Magazine Lately? Today, when we meet at conferences or launch studies, discussions about “housing plus services” typically begin with the need to bring more health care to housing residents. The greatest challenges relate to working with Medicare and Medicaid, coping with multiple providers and health plans, and figuring out how to fund a reliable level of services that we believe will keep residents independent and healthy longer. For a good statement of the problem, I urge you to read an article on the LeadingAge website, “Taking Steps Toward Financing Housing Plus Services,” by Alisha Sanders of the LeadingAge Center for Housing Plus Services. She spells out the situation very clearly, and explains the barriers to reaching this goal. Our Vision column is a podcast, “Testing Affordable Housing Plus Services Innovations.” It’s a conversation with LeadingAge member Kim Brooks of Hebrew SeniorLife and Elissa Sherman of LeadingAge Massachusetts about a couple of Bay State initiatives designed to study housing plus services models. In “Housing Plus Services: Providers Make the Most of Opportunities,” you’ll meet some of those members I referred to—people who are always on the hunt for new ways to serve residents. They are bringing residents valuable wellness programming, creating activities that help build community, finding partnerships to connect residents to health providers, and much, much more. A home is a launching pad for many other good things. Most of us take that for granted, but those who have lived on the street never will. In “Housing for Seniors Without Homes: The First Step in a New Life,” read about members who are helping at-risk elders and those experiencing homelessness. Property managers and service coordinators work hard to help bring needed resources to people living on very little money. For some older adults, however, poor money management skills exacerbate the problems already caused by low incomes. Read “Financial Counseling for Low-Income Seniors” to learn about some resources to that can help. “The Positive Impact Loop: Creating a Person-Centered Culture,” is a reflective column from Stephen Proctor, CEO of Presbyterian Senior Living and a past recipient of the LeadingAge Award of Honor. He shares his experience in building a positive culture throughout his large organization. Another member-written article, “Body and Mind Benefit From Music Therapy Program” tells the story of how one member uses music therapy and the positive results it has wrought. ► How much does your community spend on janitorial and housekeeping supplies? Do you know if you are getting the best prices? A cost study is an excellent management tool for determining if you are getting competitive pricing for what you purchase. From paper towels to cleaning chemicals, LeadingAge’s group purchasing organization, Value First, can compare what you are currently paying to pricing available through the GPO. Your community’s janitorial supplies distributor may already be affiliated with Value First. To do a cost study, you provide the list of items you want to compare. Value First does the analysis. ► Does your community use a different group purchasing organization for janitorial supplies? Even if you are purchasing through a group purchasing organization other than Value First, Value First can do a cost study for you. The primary goal is to work with LeadingAge members to make sure they are getting the best pricing—with Value First or through other sources. ► Not sure if you want to use Value First for housekeeping supplies? The choice is yours. You can continue with your current arrangement. Or, if the cost study results indicate potential savings, you can consider purchasing through Value First. This is your GPO! ► How do you request a cost study for your community? Contact Value First representative Vanessa Ceasar at vceasar@leadingagega.org. Call (404) 421-3956 or click here to submit your request https://form.jotform.com/61243365476155. Value First is a group purchasing organization owned by LeadingAge national and twenty five state associations, including LeadingAge North Carolina. Value First is designed to leverage the buying power of thousands of senior service providers across the country to get the best pricing on a comprehensive array of products and services. Read this article to find out what correlates with board diversity and access a useful chart, “diversity by field of practice category.” Two successful nonprofit board diversity case studies are presented. They include: 1) attracting and developing young board leaders and 2) emerging from a merger with high board engagement. Our boards are always evolving and there are definitely lessons to be learned as we all strive to develop a board that reflects our population on the whole. Organizational behavior expert Evan Apfelbaum at Boston University wants to better understand exactly how diversity messaging helps retain - or lose - employees. This brief article might help human resource professionals and others working on attraction and retention of a diverse workforce. In 2017 on behalf of AARP, Community Marketing and Insights collected data from 1,762 LGBT individuals through a 10-minute online survey of LGBT Americans age 45 and older. The article summarizes this community’s concerns in general as they age as well as concerns specifically about healthcare. This article might help you and your staff become more sensitive to and better meet the needs of current and future LGBT residents. Barbershops in Dane County, Wisconsin are becoming more than just a place to receive a haircut. Read more about the innovation and partnership that is helping African-American men reduce health disparities and remove barriers to healthcare. Maybe you will be inspired to find innovative ways to reach more diverse populations as well. Social determinants of health are underlying social and environmental factors that can be responsible for more than 70 percent of a person’s health. Check out DHHS’s new interactive map showing social determinants of health indicators across the state including economic, social and neighborhood, housing and transportation status. After following the link, click “North Carolina Social Determinants of Health.” The map is part of the department’s efforts to look beyond what is typically thought of as “health care” and invest more strategically in health. May 2018, Joanne L. Smikle, Ph.D. 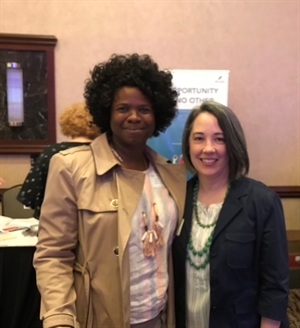 Thanks to Dr. Joanne Smikle for her Deep Dive presented at the 2018 Annual Conference last month. She discussed obstacles to creating diverse, inclusive organizational cultures and helped attendees generate practical strategies for removing those obstacles. Please click here to review her slide presentation for ideas that might take hold in your community. 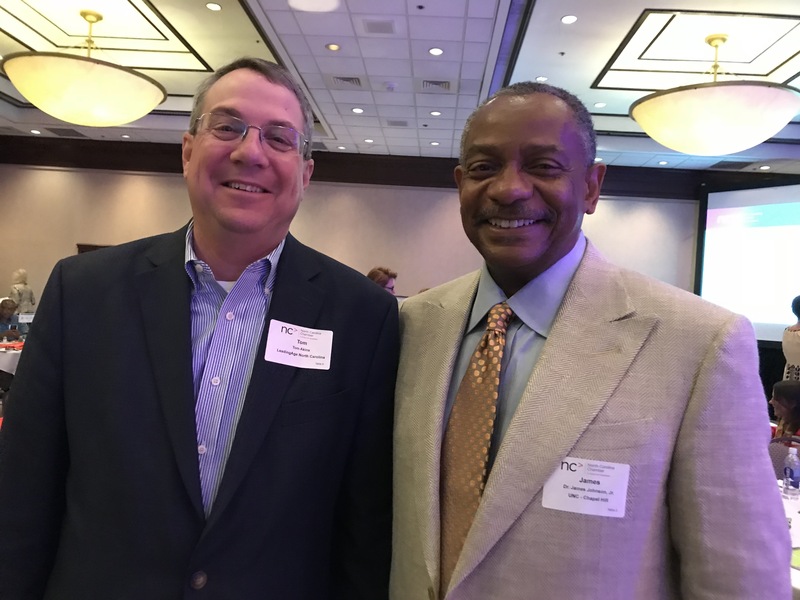 LeadingAge North Carolina was a supporting organization of this timely NC Chamber event held yesterday in Durham. The program covered topics that will help us create a culture of true belonging among residents, board members, and staff in our membership. Thanks to board member, Ursula Robinson, for her presence, and to members from Carol Woods and Carolina Meadows who attended and learned about the prevalence of implicit bias, diversity and inclusion best practices, and demographics from Dr. Jim Johnson that underscored the urgency of our efforts in this area. We'll see you at next year's conference! Please consider supporting this EXPO that will include non-profit service agencies that are aware of the special needs of senior populations and are prepared to handle them. It will connect LGBTQ-affirming health care professionals, housing providers, businesses, and many others with LGBTQ people throughout the Triangle. The intention is to inform senior community members of agencies and organizations that are welcoming to a population that has sometimes felt marginalized and not always welcomed as they navigate the services spectrum. In April this year Carol Woods in Chapel Hill hosted the Racial Equity Institute's anti-racism workshop. Pictured here are staff and residents who participated in the discussion about the impact of race and racism on today's society. Carol Woods will also be hosting a booth at the Triangle Expo for LGBTQ Aging Adults in Raleigh on June 23rd. 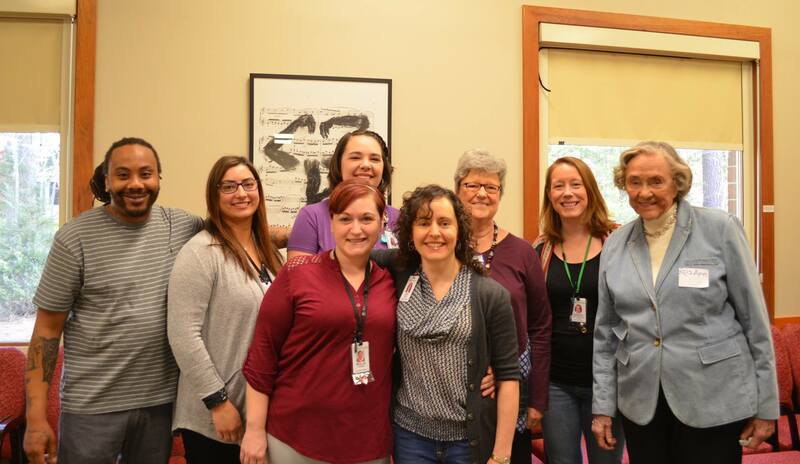 Also in April this year, United Church Homes and Services (UCHS) partnered with the Ruth Frost Parker Center for Abundant Aging to host the first “Giving Voice to LGBTQ Older Adults” event in Ohio. The event included a showing of the “Gen Silent” movie and several workshops. North Carolina is home to several UCHS communities including Piedmont Crossing in Thomasville and Abernethy Laurels in Newton. 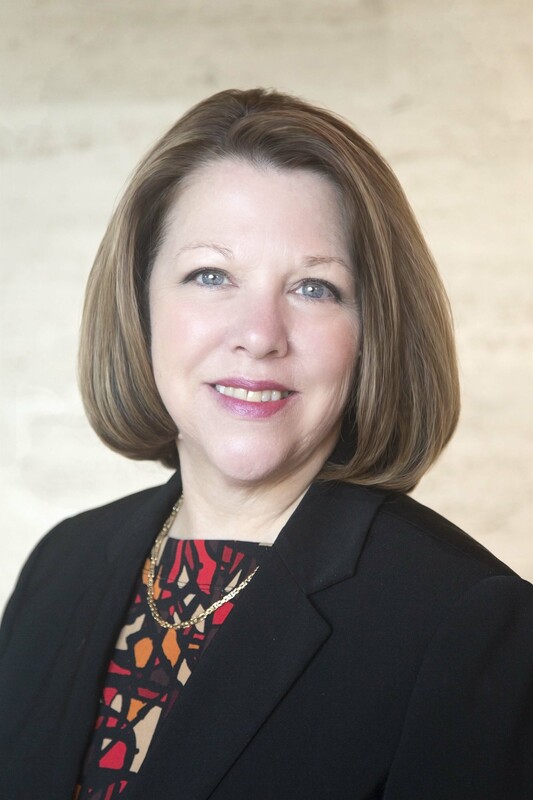 Lee Syria, President and CEO of UCHS, is the Chair of the LeadingAge North Carolina board. Current word around the legislative building is that the General Assembly will adjourn the short session most likely by the end of June. Governor Roy Cooper Wednesday vetoed the budget bill passed last Friday by the General Assembly; there is little doubt that the two chambers will quickly override the veto. We continue to track legislation impacting our member communities and are in full planning mode for the long session which begins in January 2019. The Tax Cuts and Jobs Act (TCJA) was signed into law in December 2017 and went into effect on January 1, 2018. This was the largest overhaul of the tax code since the 1980s. Although most of the major provisions of the TCJA addressed changes in the individual rates and deductions, many provisions will have an effect on nonprofit providers moving forward. While we are still waiting on guidance from the IRS, we urge members to speak to their accountants and financial consultants to explore how these changes will specifically affect their communities. Prior to the passage of the TCJA, nonprofit organizations could calculate UBIT based on combining all of their unrelated business activities income. If one unrelated business activity had income it could be offset by another activity that had business losses. For example, if one unrelated business activity generated $20,000 and a separate unrelated business activity of the organization had a loss of $5,000, the organization would pay UBIT on $15,000. Under the TCJA, this is no longer allowed. Each unrelated business activity must now be accounted for separately for UBIT purposes. The change to the corporate tax rates, however, also changed the unrelated business income tax rate to 21 percent for UBIT over the $1,000 threshold. Organizations that provide their employees with 1) transportation fringe benefits that are not included in their employees’ taxable income; 2) parking reimbursements; or 3) on-premises gyms must now include the value of such benefits as unrelated business taxable income subject to UBIT. Parking reimbursements include any expenses paid or incurred by the organization for a parking facility used by employees on or near the organization’s premises. To avoid the UBIT liability, an employer organization can either provide the benefits as taxable items to the employees or discontinue providing the benefits. This is a marked change for nonprofits to be subject to a tax on expense rather than on income. LeadingAge national has signed on to an American Society of Association Executives (ASAE) letter requesting a delay in implementation of this provision pending additional guidance from the IRS. For additional information, see IRS Publication 15-B – Employer’s Tax Guide to Fringe Benefits regarding descriptions of fringe benefits. Tax-exempt advance refunding bonds, a form of refinancing used by 501(c)(3) borrowers, has effectively been eliminated because the TCJA makes the interest on such bonds taxable. Advance refunding had been a common practice used by issuers to refinance bonds beyond 90 days from their call date to take advantage of a better interest rate. Some TCJA provisions will affect donors and any tax benefits they might receive from making charitable contributions. These provisions are estimated to reduce charitable giving by billions of dollars per year. Under the TCJA, deductions for all state and local taxes (income, property, real estate, and sales tax) combined cannot exceed $10,000. A substantial number of individuals in high cost of living/high tax states will exceed this cap. This greater tax burden for people in those states will probably have an adverse effect on non-profits as people will have less money available to donate. The TCJA also reduces the cap on the home mortgage interest deduction on new loans from $1 million to $750,000 in principal value and repeals the deduction for interest paid on home equity debt. These changes could have an impact on charitable donations similar to the effect of restrictions on SALT deductions. People will have higher taxes and less income available to donate. The TCJA doubled the estate and gift tax exemptions to $11.2 million and so far, fewer wealthy taxpayers will be hit with a very hefty tax (40%) for leaving or gifting money to their children. Those who still have to pay estate taxes will have much more of their transferred wealth exempted from being taxed. Most wealthy taxpayers who are potentially subject to estate and gift taxes work with their tax planners to mitigate and minimize the taxes they would have to pay. Deductible charitable contributions are often a big part of their strategies. In 2010, the estate tax was temporarily repealed and there was a significant drop in charitable bequests in IRS tax filings from the prior year. Individuals can now take a greater deduction for charitable giving if they itemize their deductions. They can claim up to 60 percent of their adjusted gross income. Previously, the limit was capped at 50 percent. Also, the “Pease” limitation has been repealed. Therefore, there will be fewer restrictions for individuals who decide to itemize their deductions. This is good news as it could encourage high-income earners to contribute more to charity. In reaction to the changes in the TCJA, LeadingAge national has joined other organizations in supporting an effort for a “universal charitable deduction.” This concept would provide for an “above-the-line” income tax deduction for charitable contributions and thus likely would ameliorate the expected decline in charitable giving associated with the passage of the TCJA. As the nation prepares for mid-term congressional elections this year, many nonprofit aging services providers are concerned about staying within Internal Revenue Service rules for allowable politically-related activity. LeadingAge national has prepared a set of guidelines to help you stay in compliance. If you work for a nonprofit organization, can you contribute to political campaigns or participate in candidate fundraising? What kind of help can you give residents with learning about candidates who are running for office or getting to the polls to vote? Can your organization hold candidate forums? What if an elected official who is running for reelection wants to visit your community to talk to your residents? All of these questions are discussed in LeadingAge national’s new publication, Lobbying and Election Activity: Guiding Principles for Nonprofit Providers. As the campaign season heats up, we hope these guidelines will help you balance your and your residents' rights as citizens with the IRS restrictions on political activity by nonprofits. The House Energy and Commerce Committee has approved 57 separate bills incorporating a wide range of proposals to deal with the various aspects of the opioid crisis, the widespread misuse of addictive pain medications. 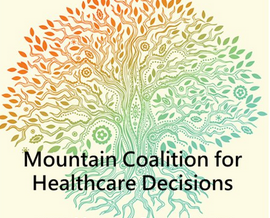 The measures include proposals to encourage development and use of non-opioid pain relief alternatives; to increase physician and public awareness of the dangers of opioid addiction and of alternative treatments; to facilitate the use of telehealth and electronic health records to track use of opioid prescription medication; and to encourage communication among Medicare and Medicaid agencies, providers, quality improvement organizations, and pharmacies on the use of these medications. The next step for this legislation is consideration on the House floor. While this has not yet been scheduled, it could occur as early as this month. On the Senate side, Majority Leader Mitch McConnell (R-KY) has indicated that opioid legislation could be taken up while the Senate is in Washington in August, since the traditional recess has been cancelled. LeadingAge national understands the need to address the widespread abuse of these medications, which are a serious and growing public health threat. We welcome and support more research on effective alternatives to the use of opioids, to increased public awareness and knowledge of the dangers of the drugs and potential alternatives, and more effective communication among health care providers and payors on the use of the medications. We have to be concerned that legislation will not have unintended consequences for long-term services and supports providers, whose residents and clients often have valid medical needs for opioid pain relief medication. Federal law requires nursing homes to ensure that residents are free from pain to the extent possible. We are carefully monitoring the development of legislation to ensure that residents whose pain cannot be effectively managed without opioids continue to have access to the medications they need. • A sub-regulatory guidance detailing an array of home and community-based services (HCBS) that Medicare Advantage plans can offer as supplemental benefits beginning in Calendar Year 2019. In addition, check out LeadingAge national's newly updated Regulatory Roundup, which is designed to provide up-to-date information about important regulatory initiatives at the federal level. The suite includes products designed for nursing homes, HCBS and HUD housing providers. In its ongoing efforts to protect older adults from telephone and internet scams, the U.S. Senate Special Committee on Aging has released its 2018 Fraud Book on the top ten scam complaints reported in 2017 against older adults. According to the Government Accountability Office, financial fraud targeting older Americans is a growing epidemic that costs seniors an estimated $2.9 billion annually. Moreover, according to the Senate Aging Committee report, seniors often do not report fraud because they do not know where to report it, are too ashamed to admit they have been scammed, or may not even know that they are victims. In 2017, the Aging Committee’s Fraud Hotline received more than 1,400 complaints of fraud targeting seniors around the country. If you or someone you know are the victim of a scam or fraud attempt, please call the Special Committee on Aging’s Fraud Hotline at 1-855-303-9470. In addition, bipartisan legislation to strengthen banking laws to protect older adults against financial fraud now has passed both houses of Congress and is on its way to the White House to be signed into law. The Senior Safe Act will encourage banks, credit unions, insurance companies, investment brokerages, and other financial services to train their employees in spotting possible fraud against older customers and protect the companies and their employees from liability for reporting suspected fraud to regulatory agencies. Thank you to everyone who attended our 2018 Spring Conference and Trade Show in Asheville. Be sure to save the date for the 2019 Spring Conference and Trade Show from May 6-9, 2019 in Myrtle Beach, SC.NOTE: These dates are a week earlier than usual! This luncheon is for you - administrators, DONs, CFOs, controllers, and other interested long-term care provider professionals! Join us over lunch and discuss how to strategize for your community around the paradigm shift in third party reimbursement from Medicare Advantage programs, bundled payment initiatives, accountable care organizations and proposed PPS reform. Facilitated by Rick Schlentz ofEXTRA!Ordinary, Inc. Please click hereto view and print LeadingAge North Carolina's 2018Event and Education Calendarfor yourself and your staff. Even after Spring Conference we continue to offer special events where you and your staff may learn, get inspired, and refresh yourself. We look forward to seeing you! At press time, only 25 tickets remained! 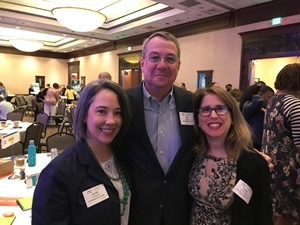 Please register to join Tom and Jennifer at the NC Chamber's 2nd annual 2018 Workplace Diversity & Inclusion Conference June 12 in Durham. 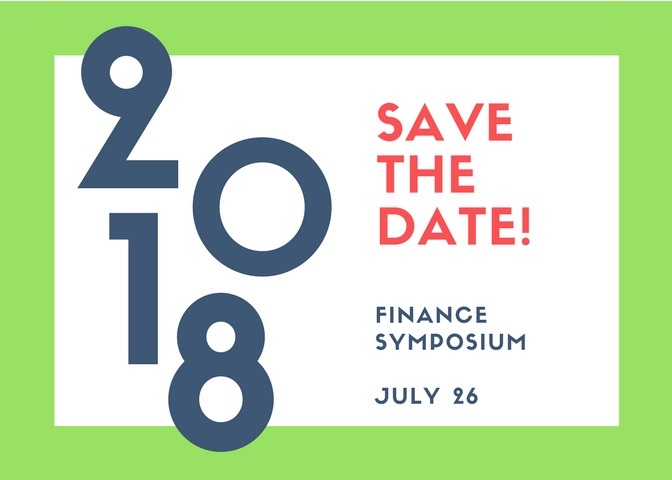 LeadingAge NC members register at the non-member rate and enter the discount code LA2018 when you reach the payment screen. This one-day class is intended for those who would like to be able to assist individuals in completing their healthcare advance directives. Topics will include healthcare powers of attorney, living wills, and how to facilitate an effective advance care planning conversation. For details or to register please contact Joseph Jonesat 828-348-2839. The NCGA is set to pass the short session budget bill this week in record breaking time. Using a procedure seldom seen in budget work, the budget bill language was dropped into a gutted conference report allowing the bill to move quickly through the chambers. This morning (Friday) the House of Representatives will convene for the final budget bill vote and the bill will be sent to the Governor for an expected veto. The main purpose of the NCGA Short Session is to make necessary changes to the 2-year budget passed in 2017. The adjusted spending brings the total budget to $23.917 billion, an almost 4% increase over the plan approved in 2017. Adds $161 million to the state's "rainy day fund" for future emergencies, bringing that fund up to about $2 billion total. $27 million to fill a Medicaid rebase gap. This is expected to be fixed when the 2019-2020 NCGA convenes in January. In late April of this year, CMS issued the FY 2019 Skilled Nursing Facility Prospective Payment System proposed rule. The rule also includes proposals related to the SNF Value-Based Purchasing program and the SNF Quality Reporting program. LeadingAge national will be sending comments to CMS and is interested in your feedback on the proposed rule. In order for them to incorporate your thoughts into their comments, please respond by June 13. CLICK HEREfor an explanation of the proposed rule and information about how to forward your comments to LeadingAge national on this critical issue. LeadingAge national is actively supporting H.R. 1421 and S. 568, the Improving Access to Medicare Coverage Act. The legislation would resolve the observation days issue by requiring all time Medicare beneficiaries spend in a hospital to count toward the three-day stay requirement for coverage of any subsequent post-acute care. We urge you to contact your Member of Congress and Senator and ask that they cosponsor these bills. A heads-up from Cindy Deporter, State Agency Director and Assistant Section Chief (Acute Home Care) for the North Carolina Division of Health Service Regulation: "I wanted to share a recent trend that we are seeing with Glucometers in Nursing Homes. The problem seems to be that facilities have glucometers that are supposed to be used only for a single resident, but these glucometers are being shared with many residents. Or we are seeing glucometers that are a community glucometer and are not being cleaned and disinfected correctly. Neither one of these cases the glucometers are not being stored properly. We are not quite sure why this has become an issue again but we did recently cite this at a Jeopardy Level. So please review your policy and procedures. Please go to the UNC SPICE site or the CDC site and review the proper protocol for cleaning and disinfecting and storing glucometers. The recommendation from the indicated groups is that glucometers should not be shared." The North Carolina Coalition on Aging has released their 2018 Fact Sheet on Legislative Priorities. LeadingAge North Carolina is one of a number of organizations statewide that are members of the Coalition. What kind of child care, if any, do your colleagues across the state provide? Be sure to click here to download an Excel spreadsheet with responses to this member question. Thanks to everyone who helps sustain this service by taking time to respond! According to the Substance Abuse and Mental Health Services Administration, from 2002-2014 opioid abuse declined in younger groups aged 18-25, but the epidemic almost doubled among Americans over age 50. This is of particular concern given the drugs' addictive properties and the fact that, "taking opioids can lead to falls, falls can lead to pain, pain can lead to opioids and opioids can be abused. On top of that, doctors might not even realize the source of an elderly patient’s problem. Regrettably, health-care providers sometimes miss substance abuse among older adults, as the symptoms can be similar to depression or dementia.” Please take a moment to read this important article that may help residents in your community. In addition, you may click here to read the most recent edition of the North Carolina Medical Journal, which is focused entirely on the opioid epidemic. Well-meaning folks sometimes say things that unintentionally worsen the pain of isolation for older adults. As staff members who are regularly in contact with residents who may feel isolated (even in our communities), this article might help provide guidance on what to say and what to avoid saying. While the study needs further validation, this article highlights the results of research that seem to indicate that hearing aids help patients communicate with their doctors and to have a more active lifestyle, which might prevent hospitalization. Further, the lack of hearing aids seemed to correlate with lower patient satisfaction, less compliance with prescribed medications and recommended treatments, more utilization of health services and higher medical costs. All of this information seems to underscore the importance of access to hearing aids and audiologists in adult care settings. This article underscores the new public health focus on combating isolation and loneliness, in this case in older adults. Several resources and ideas are offered which makes this a good article to share with residents or prospective residents of your community, as well as an educational resource for staff. Thank you to everyone who attended our 2018 Spring Conference and Trade Show in Asheville. We had a great turn out and The Omni Grove Park Inn did a wonderful job hosting us. Special thanks to all of our exhibitors who helped to make our Leadership Academy service project a success. Through your support we were able to deliver more than 3,000 canned and nonperishable food items to the Council on Aging of Buncombe County. The gift may be more important than ever as indicated in this NC Health News article about older adults facing hunger in North Carolina. And please be sure to save the date for the 2019 Spring Conference and Trade Show from May 6-9, 2019 in Myrtle Beach, SC. NOTE: These dates are a week earlier than usual! Please click here to view and print LeadingAge North Carolina's 2018 Event and Education Calendar for yourself and your staff. Even after Spring Conference we continue to offer special events where you and your staff may learn, get inspired, and refresh yourself. We look forward to seeing you! The NC Partnership for Compassionate Care provides tools for the public to talk about their wishes with family, friends and health care providers, and to execute written advance directives (Health Care Power of Attorney and living will) in accordance with North Carolina state laws. For a list of Advance Care Planning Workshops across North Carolina this month, please click here. For information on becoming a facilitator for advance care planning workshops, please click here. At press time, only 25 tickets remained! Please register to join Tom and Jennifer at the NC Chamber's 2nd annual 2018 Workplace Diversity & Inclusion Conference June 12 in Durham. LeadingAge NC members register at the non-member rate and enter the discount code LA2018 when you reach the payment screen. Click here to register. This one-day class is intended for those who would like to be able to assist individuals in completing their healthcare advance directives. Topics will include healthcare powers of attorney, living wills, and how to facilitate an effective advance care planning conversation. For details or to register please contact Joseph Jones at 828-348-2839. The latest issue of the North Carolina Medical Journal highlights the opioid epidemic and features an article entitled, "Emergency Providers' Opioid Prescribing Behaviors Among Medicare Part D Beneficiaries in North Carolina." LeadingAge North Carolina supports the Journal as a cosponsor, which is a publication of the North Carolina Institute of Medicine. Read the issue here. And be sure to check out the article on opioid use among older adults in the Strategic Thinking section by clicking here. More than 8,200 older adults committed suicide in 2016, according to the Centers for Disease Control and Prevention. Among men, those over age 65 are the likeliest to take their lives, and three-quarters of them use a gun. For more resources on this issue, please click here. Thank you to Ted Natt of St. Joseph of the Pines and Rebecca Sharp-Cassanego of Vaya Health for sharing their notes from Session 6A at Spring Conference this year entitled, "Older Adult Suicide: Recognition, Prevention and Support." Honoring those who lost their lives in service. LeadingAge North Carolina will be closed in observance of Memorial Day on Monday, May 28th. The North Carolina General Assembly convened this year’s “short session” last week. House and Senate leadership huddled this past Wednesday to knock out final areas of disagreement on the state budget with a vote expected next week. The budget is being unveiled as a conference report, a process that precludes amendments once House and Senate negotiators sign off on a deal worked out behind closed doors. The new bill will be discussed in committee and on the House and Senate floors, but it is not subject to amendment. Each chamber will have an opportunity for a simple yes or no vote, forcing Democrats and rank-and-file Republicans not involved in negotiations into an all-or-nothing proposition. Senate Bill 99, until now an unrelated piece of legislation, will be the vehicle for the budget conference report. There are 40 House members on the bill's conference committee who are empowered to negotiate on the bill, but none is a Democrat. Legislators will have more money to work with this session, with the state expected to collect $357 million more than anticipated this current year. This makes the fourth consecutive year in which the state will record a surplus. We continue to track legislation of interest to our members and will keep you updated as individual bills move forward. Predictions are that the short session may be over by the 4th of July holiday. The LeadingAge North Carolina Board of Directors approved a set of Public Policy Priorities at their May 14 meeting in Asheville. Work on the priorities had been spearheaded by the Association’s public policy committee, chaired by Jonathan Erickson from United Methodist Retirement Homes. The priorities will be utilized during the short session and to guide our advocacy over the interim before the start of the long session in January 2019. CLICK HERE for a look at the priorities. 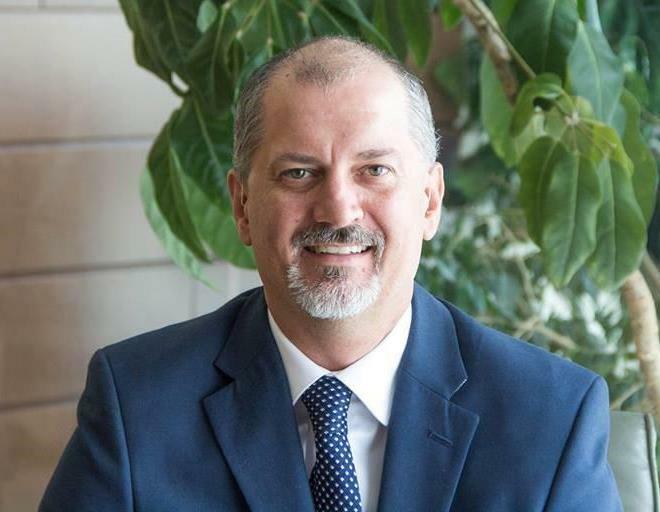 LeadingAge North Carolina joined with other aging services providers across the state in welcoming new North Carolina Community Colleges Association President Peter Hans to his job. In the letter, Hans was urged to consider the workforce needs faced by many of our member communities as he considers priorities for his association. Also, included with the letter was a fact sheet. We also requested a meeting to be able to begin establishing relationships that will be beneficial as we move forward. Special thanks for Lutheran Services Carolinas CEO Ted Goins for providing leadership on this initiative. Attendees may register to speak upon arrival at the meetings or in advance by completing the on-line Listening Session Sign-Up Form. Speakers will be limited to three minutes and are encouraged to provide a written copy of their comments when registering. 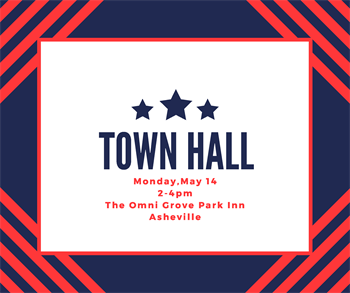 Those who are unable to attend one of the meetings may submit written comments by June 29, 2018 to: Aging Plan, NC Division of Aging and Adult Services, 2101 Mail Service Center Raleigh, NC 27699-2101. Comments may also be e-mailed to agingplan@dhhs.nc.gov or faxed to Aging Plan at (919)733-0443. 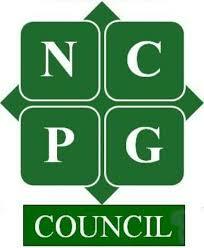 The current Aging Services Plan is available at http://www.ncdhhs.gov/aging/plan.htm. The General Assembly has unveiled a new look for its website, www.ncleg.net. The new site makes it easier to access audio streams for sessions and meetings, and it includes a redesigned search function to find bills and individual legislators’ pages. There is also a new dashboard feature to follow House and Senate sessions. There were no statewide races in the primary elections earlier this month and only 14% of voters actually voted, but the 75 legislative primary elections and 18 Congressional primaries produced some interesting results. The surprise upset of 9th District Congressman Robert Pittenger by Republican Mark Harris now makes this seat in Congress very competitive and could help determine whether Democrats can gain the 24 seats they need to retake control of the U.S. House of Representatives. Three rating groups now list the seat as favoring the Democrat challenger, Dan McCready, a former Marine who drew more votes than Pittenger, Harris, and a third candidate. Eight incumbent members of the state General Assembly lost their seats: Rep. Justin Burr (R- Surry), Rep. Beverly Boswell (R-Dare), Rep. Duane Hall (D-Wake), Rep. Rodney Moore (D-Mecklenburg), Sen. David Curtis (R-Lincoln), Sen. Shirley Randleman (R-Wilkes), Sen. Ban Barrett (R-Davie), and Sen. Joel Ford (D-Mecklenburg). Rep. Sam Watford (R-Davidson) failed to win his party’s nomination for an open Senate seat and former Senator Bob Rucho who represented Mecklenburg County lost in his re-election effort, this time running in another district. In 2008, the NC General Assembly passed legislation to establish a Star Rated Certificate program for assisted living facilities, which includes adult care homes and family care homes. This legislation was in response to requests for increased availability of public information about the care provided in facilities based on facility inspection reports. Since its inception, there have been increasing concerns raised that the Star Rating System, as currently designed, has numerous shortcomings and is of limited value as a tool in assisting consumers to help make informed decisions regarding care options. Based on concerns raised by both consumers and providers, the General Assembly passed legislation last year that directs the North Carolina Department of Health and Human Services to study the Star Rating Program (House Bill 657) and to report back to the General Assembly about this. One of the ways that the Department is getting input for the study is through a survey being done by the Division of Health Service Regulation which is heading up study efforts. DHSR will continue to collect surveys until July 31 so there is still time to provide input into ways to make the Star Rating System a more effective source of information. To complete the survey, click here. To read more about this go to this NC Health News article.